In-game advertising is not new. When you fired up Teenage Mutant Ninja Turtles II: The Arcade Game by Konami back in 1989, there were Pizza Hut signs covering about 75 percent of the levels. Hell, the turtles themselves were a brand being promoted through the game! In-game advertising has never become the pervasive force everyone though it would though. You may run into a strangely out of place billboard for Under Armour in Nigeria’s slums while playing Ghost Recon: Future Soldier, but you’re not going to come across a 2 minute commercial telling you to “Eat Fresh!” at Subway to max your character’s stats. At least, that is, not until Sony implements its patented “Advertisement Scheme for use with interactive content” technology in PlayStation games. NeoGAF user onQ13 spotted a patent describing said technology on Thursday. The method of advertising described should be familiar to anyone who’s ever watched television: You’re playing a video game, the video game stops while an advertisement is shown, and then you continue playing the game. At least the game will warn you first. In the images detailed in the patent, a message warning you that the game is about to stop will pop up before the ad, followed by another warning that the game is about to start back up. The examples show pictures of “Best Brand Soda!” with the slogan “You’ve Got to Try It!” which, while generic, seems horrifyingly similar to what would actually appear in a game. As Eurogamer notes, this is an extended version of a patent previously filed by Sony in 2006, well before the launch of the PlayStation Network which would host these ads as described in this version of the patent. In game advertising has always been a sticking point for players because, unlike television, video games aren’t a free service. That copy of Call of Duty: Black Ops 2 was $60, so you’ve paid for the product already, and additional advertising in the game is placed in the environment so as to not intrude on the play experience. Watching an episode of Community on NBC meanwhile is entertainment paid for by advertising, so interrupting the program for that purpose is understandable. There’s also the issue of multiplayer gaming. Unless all participants in multiplayer games are paused to view advertising, these interruptions could irrevocably break the game. These contentions against in-game advertising still hold true, but not for free-to-play games–Many free-to-play games online, especially browser games, are supported by advertising in addition to microtransactions. Sony’s technology could feasibly be implemented in free-to-play versions of retail games unsupported by microtransactions, making the ads more palatable for players on a budget. 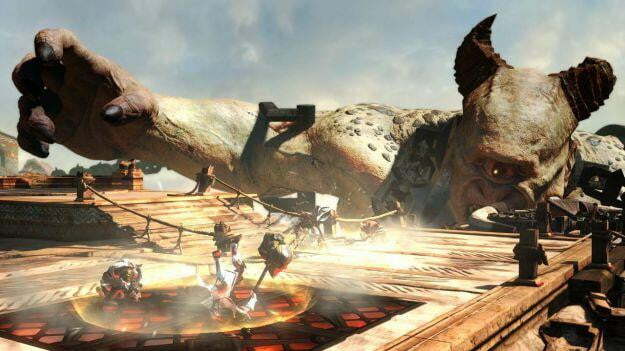 Would you play a version of God of War: Ascension that was free but was interrupted by commercials every ten minutes? Digital Trends reached out to Sony’s PlayStation Network team to discuss the possibility of advertising-supported games on the service. We will update this article when they respond.